Andy Mirhaj joined Harvard American Bilingual School as the school's Director. 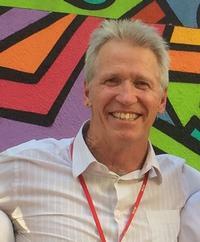 Andy has over 15 years of experience working in international schools, both as an educator and educational leader. 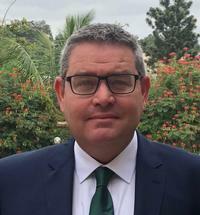 Brian Brumsickle will be joining Stonehill International School in Bangalore, as Head of School in August 2019. He has previously served at Gyeonggi Suwon International School for the last four years and brings extensive teaching and leadership experience in Asia. Madeleine Maceda Heide has been appointed the next Superintendent of Asociacion Escuelas Lincoln in Buenos Aires, Argentina. Madeleine served in leadership roles at Taipei American School, the International School of Brussels, Hong Kong International School, the American School of Bombay, and most recently at Academia Cotopaxi in Quito, Ecuador. Madeleine is invested in energizing communities toward innovation, building collaborative relationships, and empowering diverse learners of all ages and abilities. John Christian was appointed Director of University Bands at the University of Charleston in Charleston, WV USA. Prior to his appointment he served as Director of Instrumental Music at Almaty International School in Almaty, Kazakhstan and Chair of Fine Arts at Rabat American School in Rabat, Morocco. 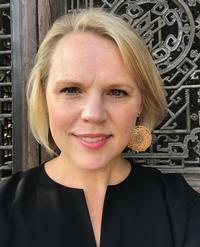 Holly Bowen Reardon has been appointed as Executive Director of Learning at the International Community School Addis Ababa commencing August, 2019. 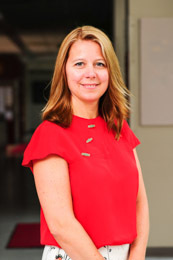 Holly has over 19 years of experience in education and was most recently the Elementary and Middle School Principal at the International School Eastern Seaboard. Kevin Baker has been appointed as Director of the American International School of Guangzhou commencing 30 June, 2019. 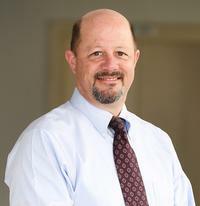 Kevin has over 30 years of experience in education and has worked at Hong Kong International School, Seoul Foreign School, and has been Head of School at several independent schools in the United States prior to joining International School of Busan (formerly Busan International Foreign School), where he is currently Head of School. 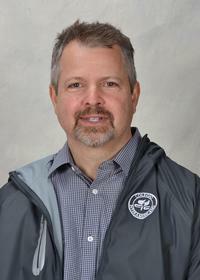 Kevin has a Bachelor’s degree in Secondary Education from Concordia University Nebraska, a Master’s degree in Education Administration from Washington State University, and is completing his Doctorate degree in Human Capital Management. In his free time Kevin enjoys his family, presenting, reading, grilling, golfing, and supporting the Nebraska Cornhuskers. Yang Guang Qing International School of Beijing is a private boarding school, accredited by the Ministry of Education in Manitoba, Canada to run and offer two curricular tracks and diplomas. YGQ is a dynamic school that focuses on wellness, student led seminars and project based learning. Our school is located in Yizhuang a suburb of Beijing. Patrick M. Carroll has accepted the role of Middle School Principal at Korea International School, Jeju beginning in the 2019-2020 school year. For the past eleven years he has served the SMIC Private School community in Shanghai in diverse roles from teacher, to department head, to Vice Principal of Secondary. Darren Acomb will take over as Head of School at Medan Independent School, Indonesia, from August 2019. Darren has been at International School Moshi since 2015, where he is currently Deputy Head of Campus. David "Cal" Callaway has been appointed Elementary School Principal at The International Community School of Addis Ababa, Ethiopia, starting August 2018. Cal comes to the position after 9 years at the International School of Latvia, where he most recently served as Deputy Director. Mr. Wicks is the new Elementary Principal of Colegio Interamericano Guatemala. He brings with him his experience from International schools in Italy, Qatar, Mexico and China. Ms. Veith is the new Early Childhood Principal at Colegio Interamericano Guatemala. She previously held the role of ECE Instructional Coach at the school. is the new High School Principal of Colegio Interamericano Guatemala. 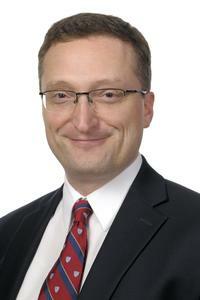 He has previously held Leadership roles in both Canada and Thailand. Is the new Middle School Principal at Colegio Interamericano Guatemala. She previously served as Curriculum Director and Principal in the Bahamas. is the new General Director of Colegio Interamericano Guatemala. 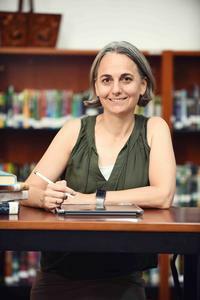 Prior to this position, she served as the schools´ Interim General Director and Academic Director. Justin Wild will join the American School of Bombay as the High School Principal from the upcoming 2019-2020 school year. Justin is currently serving as the High School Vice Principal at the Shanghai American School, Pudong Campus and has worked in Chile, Republic of Korea, and the US. Joel Peinado has been appointed the next President for International College in Beirut. Gareth Jones has been appointed the next Head of School for 2019. 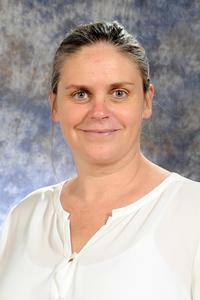 Bernadette Carmody has been named International School of Amsterdam's next Director. Bernadette leaves Riffa Views International School in Bahrain where she serves as Director. 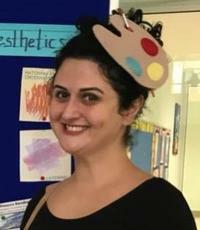 She holds a BA from Griffith University in Australia, and MA in Teaching English as a Second Language from University of London, and an MA in International & Overseas Administration from The College of New Jersey, as well as a PHD in Education from University of Southern Queensland in Australia. I am a highly qualified Music teacher and director with over 15 years of experience with students in all age groups. I hold a Bachelor of Music, a Master of Music degrees and a Graduate Diploma in Conducting. I can teach any music-related classes and direct choirs, orchestras, and, musicals for K-12 students. Subjects I taught at international schools over the last ten years are MYP Music, PYP Music, K-5 General Music, MS/HS Choir, MS/HS Orchestra, and HS Advanced Music Theory. I believe that music is a universal language and is for everyone. I am confident that my wide range of teaching, personal and professional experiences in Music make me a great addition to the music department of your school. South Hills Academy is a PreK to 12th Grade College Preparatory School with 300 students and 15 nationalities. 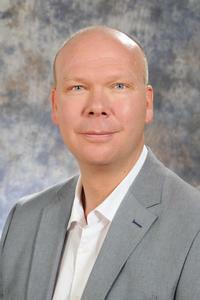 Mr Michael Gündert has been appointed Head of School at International School Mainfranken in Schweinfurt, Germany. Michael has been with the school for seven years and previously held the roles of High School and IB Diploma Coordinator for four years. Mr. Bruce Ferguson is an experienced international educator. He has over 20 years of experience in nine different countries. He began his career as an educator in the United States public school system, and from there went to international schools in Asia, Europe, and Africa. Mr. Ferguson has taught English and Social Studies in grades 5-12. He has also held the leadership positions of Head of Department, Athletics Director, Activities Coordinator, IBMYP Coordinator, IBDP Coordinator, Head of Secondary School and Head of School. He has experience in schools with American curriculum, International curriculum, IGCSE, and IB programmes. He has learned about other cultures through his travels in 76 countries throughout the world. 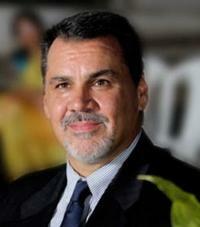 Mr. Michael J. Schneider joins Marian Baker School in San Jose, Costa Rica as General Director. Now in his 28th year in education, he brings 18 years of national and international school leadership experience to MBS. He has served in the Dominican Republic, Austria, and Canada. Frederick T. "Ted" Hill has taken on the role of Head of School at Chadwick International(CI) in Incheon, Republic of Korea starting July 2018. Ted is well known as the driving force in the creation and startup of CI. 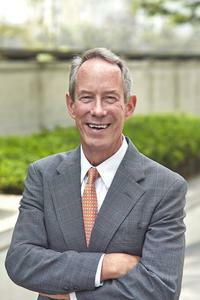 He also has served as the Headmaster of Chadwick School in Palos Verdes, Calif., for 18 years. In addition to serving as Head of School at CI, he also will continue in his role as president of the Roessler-Chadwick Foundation (RCF), which operates the two Chadwick campuses. 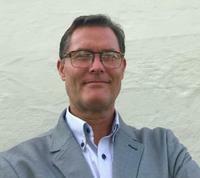 Paul McKenzie has assumed the role of director at the International School of Bergen - the world's first MYP school. He comes to Norway after principalships in Japan and West Africa. We are a new bilingual school that opened in February 2017 in sunny Rio de Janeiro. We have around 1100 students from Nursery to Class 11. Our mission is to foster the development of a new generation of leaders capable of contributing to a better world while making a difference in their own life. Carol is beginning her second year at this three year old school in the heart of Tirana. The school has a lot of potential and has recently become a full time IB school with PYP, MYP and DP diplomas being offered. 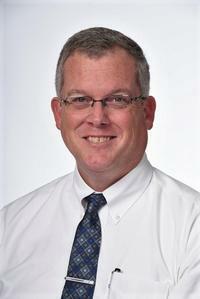 Mark Sullivan is the new Secondary School Principal at Beijing City International School. Prior to Beijing, Mark served three years at the American International School of Jeddah, Saudi Arabia as High School Principal, having moved into that role after three years as Assistant Principal at the same school. Before Jeddah Mark worked at Cairo American College for 18 years. Simon McCloskey has been appointed as the Head of School at the International School of Busan in Korea for August 2019 (formerly Busan International Foreign School). Simon has been at Stonehill International School in Bangalore since 2014 where he is currently the Head of School. 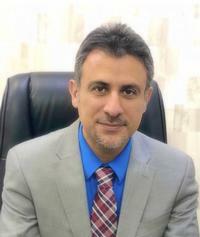 Ali Hassan has been appointed as the Secondary School Vice Principal at Arab International Academy in Qatar. He was previously the founding MYP and DP Coordinator. Ali is passionately involved in various roles with the International Baccalaureate. He is involved with the PYP, MYP and DP as a School Visits Team Member, Workshop Leader and MYP Building Quality Curriculum Reviewer. He also continues his doctoral studies in the United Kingdom under the supervision of Professor David Hopkins, Chair of Educational Leadership at the University of Bolton and Professor Emeritus at the Institute of Education, University of London. Ali’s doctoral studies is focused on international education leadership and the impact of the IB on school leaders, teachers and students. Darren has taken on the role of Director of Athletics and Activities at Beijing City International School. Darren has served in a variety of roles at BCIS over the past nine years. Megan Eddington will take on the coordination of the new IDEATE Diploma Program at BCIS. This new program offers choice to our students completing the last two years of Senior High School and prepares them for all post-secondary pursuits. The IDEATE program aims to empower students to take charge of their learning and thrive in an ever changing world. 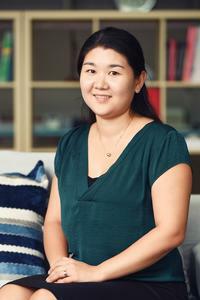 Yooah Nguyen has taken on the role of Elementary school Deputy Principal/PYP coordinator at Beijing City International School. Yooah has served in the Elementary school for the past ten years. Allen will take on the role of Director of Communications at Beijing City International School (BCIS), incorporating Admissions, Advancement, Marketing and Technology, beginning August 2018. Allen has been at BCIS since 2012 and has served as Deputy Principal and Director of Technology prior to this position. 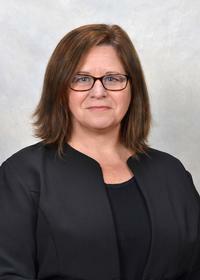 Sally Richmond will return to BCIS as the new Principal of the Elementary School. 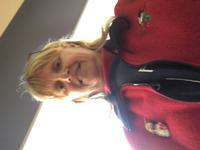 Previously, Sally was the Deputy Principal and PYP Co-ordinator. Julie will take on the role of Head of School at Beijing City International School (BCIS) commencing August 2018. 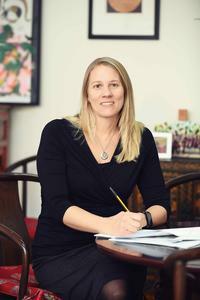 Julie is the former founding ES Principal and Deputy Head of School at BCIS since 2005. Julie has lived and worked in Beijing since 1996. After two years at Innoventure Education's Dubai International Academy, Ms. Seehafer will take on a Grade 2 teaching position at Collegiate American School in the same group. Her previous international positions include Grade 1 and Primary Team Lead at Colegio Internacional de Caracas (Venezuela) and Grade 3 at Pan American School of Bahia (Brazil). 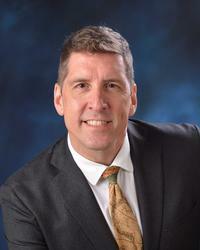 The American School in Japan is pleased to announce Jon Herzenberg as the HS Principal beginning in August of 2018. 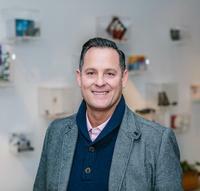 Jon has been the Associate Head of School at Drew School in San Francisco for the past six years.